Chongqing to Yichang 4 days,down stream Note:From Chongqing to Yichang(Victoria Katarina). Yichang to Chongqing 5 days,up stream Note:from Yichang to Chongqing. Chongqing to Shanghai 7 days,down stream Note:Only Victoria cruise operates these routes,and it also operate the Route 1 & 2. 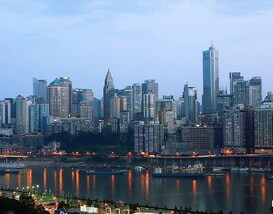 Shanghai to Chongqing 9 days,up stream Note:Only Victoria cruise operates these routes,and it also operate the Route 1 & 2.